A. Pledging, for Omega Pi, is a 6 to 8 week process. During this time you will become familiar with the Sisters, Traditions, History and Customs of the Sorority. Q. Who can Pledge Omega Pi? A. So long as you have attended our Rush period and been extended a Pledge Bid, anyone attending one of the Member Universities is welcome to Pledge. A. Hazing is the intentional infliction of pain, suffering or embarrassment, be it physical, psychological or emotional. Hazing can be interpreted differently based on the individual, and being aware of this the Sisters of Omega Pi will never ask, or make, you do anything you feel uncomfortable doing. Omega Pi DOES NOT HAZE. Q. Is it hard to become an Omega Pi Sister? A. Becoming a sister of Omega Pi can be challenging. As a Pledge, certain things may be required of you, but the difficulties that may be present while you're becoming a Sister are what make each of us appreciate our membership and bond. These challenges are created to better you as a person, to develop a greater understanding of what skills and talents you possess, and to help develop within you the attributes Omega Pi focuses on Individuality, so what one person may find challenging, not all others will. Q. Do I Pledge alone? A. In very rare cases, there have been Pledge Classes with only one Potential New Member. These girls can chose to compete the process alone, or wait until the next Semester and join the next Pledge Class. 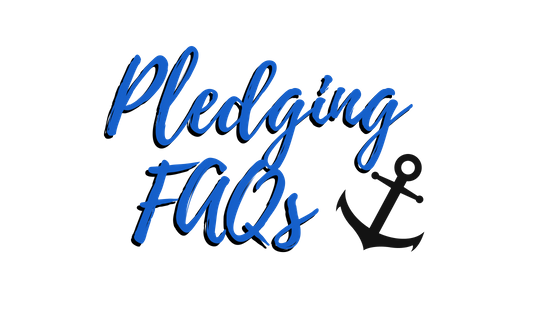 Many of the challenges presented to you during your Pledgeship will be group based - meaning we expect you to interact and cooperate with the members of your Pledge Class to complete the tasks as required. The members of your Pledge Class are known as your Pledge Sisters, and through the process of Pledging, these girls will become your best friends and your lifelines. In addition to your Pledge Sisters, you will also be paired with a Sister of Omega Pi. This Sister becomes your Big Sister, and is paired with you based on interests, life goals and other general commonalities. Your Big Sister is there to support you. As she has previously completed the Pledge Process, she will be there for your support and friendship. There are parts of the Pledge Process which require interaction with your Big Sister, so it's important to take the time to get to know her. The bond you form with your Big Sister will be a huge help to you during this process. To find out more information on how to become a Pledge of the Omega Pi Sorority, please contact our Rush Chairs. Q. Does Omega Pi Haze? A. Absolutely NOT! Omega Pi has a VERY strict anti-hazing policy. You wouldn't want to join an organization that inflicts pain, suffering or embarrassment; so we don't create those situations. We cannot and will not make you do anything you do not want to do. Q. Is Pledging Right For Me? A. That's a question only you can answer - and can only answer it once you come out and give Pledging a try! If you do decide it's not for you, at any point during your Pledging period, for any reason, you can decide to end your Pledgeship. We'll be sad to see you mke this decision, but we know that ultimately you know what's best for yourself. Q. When Can I Pledge? ​A. Omega Pi offers the chance to Pledge once in the Fall Semester, and once in the Winter Semester. If you missed your chance this semester, please don't hesitate to try next semester!